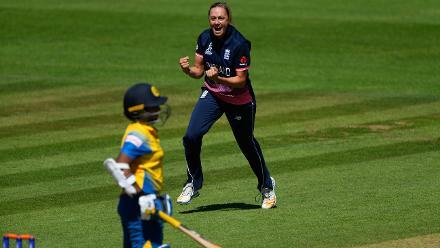 Natalie Sciver celebrates after dismissing Chamari Athapaththu for just one run. Hasina Perera hits out during the ICC Women's World Cup 2017 match between England and Sri Lanka. 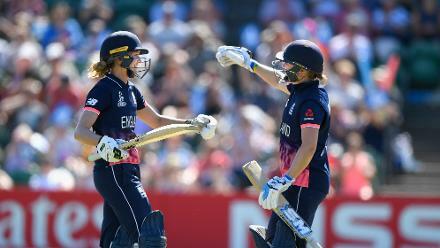 Laura Marsh celebartes after dismissing Sri Lanka batsman Hasini Perera. 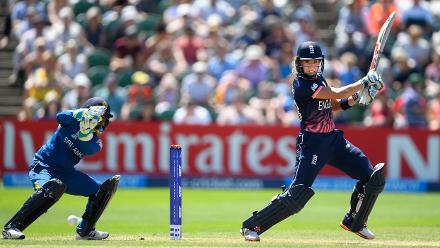 Lauren Winfield cuts a ball to the boundary during the ICC Women's World Cup 2017 match between England and Sri Lanka. 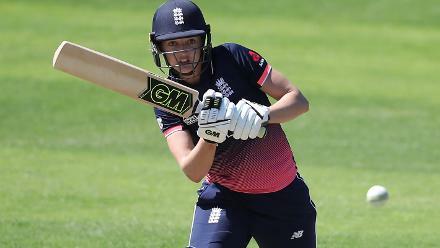 Sarah Taylor hits out during the ICC Women's World Cup 2017 match between England and Sri Lanka at The Cooper Associates County Ground. 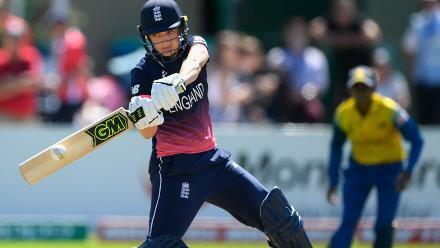 Heather Knight hits out during the ICC Women's World Cup 2017 match between England and Sri Lanka. 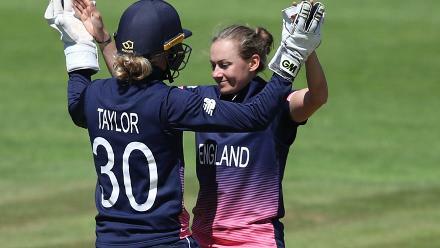 Heather Knight congratulates Sarah Taylor on her half century.